Will my creditors have to agree to the IVA? Debts that can be included in an IVA. How long is an IVA for? Is an IVA right for you? Where and how do you apply? Should I do an IVA or not? Lots of questions are probably running through your head, but we have the answers and free advice to help. This guide explains what an IVA actually is and how they work. It also covers the pros and cons of IVA's and what happens during an IVA. Hopefully it will give you a better understanding of if an IVA is right for you. We also show you all the steps you will need to take to set up an IVA. What is an IVA plan? IVA actually stands for Individual Voluntary Arrangement. It is an alternative to bankruptcy. Basically it is a contract between you and your creditors. You pay an agreed amount each month or week, based on what you can actually afford to pay. You agree to pay this amount for a fixed amount of time, usually five years. At the end of this, as part of the contract, the rest of your unsecured debt is legally written off by your creditors. So after five years, when you finish your IVA, you are debt free. An IVA will usually mean your creditors get more of their money back than if they force you into bankruptcy. You can download the full official Government guide on the Individual voluntary arrangement (IVA) protocol here. But it's quite a lengthy read, 41 pages to be precise. It may leave you more confused than when you started. So we've put all the important bits below. If you do download the guide, and want some help with how it applies to you, just call our helpline on 0800 36 88 133. Is an IVA the right thing to do? Our experts can quickly advise you on what to do if you are thinking about doing an IVA. Or just take the online test and check if it's right for you. How does an I.V.A work? An Individual Voluntary Arrangement (IVA) has a long title, but is really very simple. With the help of a licensed insolvency practitioner, or IP for short, you work out what you can actually afford to pay each month. Your IP will look at your finances and check that an IVA is the right debt management solution for you. Next they will run through what you earn and the amount you need each month in order to live. If you want to carry on the IP will start discussions with your creditors and come to an agreement on what you will pay them. All you then do is make one affordable monthly payment to your IP. They then pay your creditors the agreed amount. So you don't have to deal with nasty creditors any more. The interest and charges on your debts is frozen, and the creditors are no longer allowed to contact you. So the letters, phone calls, text message, bailiffs all stop. You carry on paying one affordable payment each month, usually for 60 months. Any money you still owe after this period is then legally written off. Will my creditors agree to my I.V.A? Once your proposal is drawn up, your creditors will consider the IVA and whether to accept it or not. Because you are using an IP your creditors trust that you are offering to pay as much as you can afford. Your IVA proposal will also include a comparison to Bankruptcy. This clearly shows your creditors would get less if you went bankrupt compared to carrying out an IVA. So because you are offering what you can afford, this has been checked by a trusted Insolvency Practitioner, and the creditors are getting more back than if you go bankrupt. They will usually accept your IVA proposal. There is also a voluntary code of practice, called the IVA Protocol, which all insolvency practitioners and most creditors have signed up to. The protocol is a guide on how an IVA proposal should be drawn up. Creditors are expected to accept a proposal that has been drawn up under the protocol and not ask for unnecessary changes to it. Remember that an IVA can be flexible - if you don't quite match some of the above, you may still be able to get an IVA. Check if an IVA is right for YOU? Our IVA experts can quickly advise you on what to do if you are thinking about doing an IVA. Just take the online IVA test and check if it's right for you. Debts that can be included in an Individual Voluntary Arrangement. 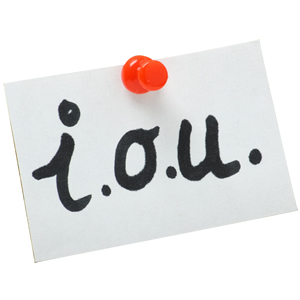 Debts that used to be secured against an asset that has been repossessed. E.G. shortfalls on old mortgages or car HP/lease agreements. Arrears from old services. E.G. Mobile phone companies, gas, electricity, SKY, Virgin. HMRC debt, Tax Credit Overpayments, Benefit Overpayments, VAT, PAYE, Self assessment, Late Filing Penalties, National Insurance. Debts to family and friends. Any other outstanding bill. E.G. legal bills, garage bills, vets bills etc. There’s no limit to the amount of debt included in an IVA, however certain debts cannot be included. Payments to these debts will be put into your monthly household expenditure allowance. The advantages and disadvantages of an IVA compared with other debt solutions are particular to your individual circumstances. You really must get advice so you can decide on the best option. How do I set up an I.V.A? 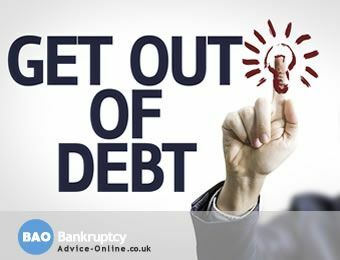 The hardest part about setting up an IVA is to have the courage to decide you have to do something about your debts, and contact us for help. Step 1: All you need to do is simply complete the IVA online application form. Our Insolvency advisors will then call you at an agreed time to go through your debts and financial situation. This takes between 20-30 minutes. Once we've done this we will either confirm an IVA as appropriate or offer alternative solutions. This is completely free and confidential. It's just an informal chat to see if we can help. Step 2: If we think an IVA is right for you, we'll prepare your IVA proposal. We'll then send you a copy of your proposal, to read through, check your happy with it, and sign. Step 3: We send your proposal to your creditors and get them to agree to it. Your IVA will then be set up, you have one affordable monthly payment. The interest on your debts is frozen by law and you are now fully protected from your creditors. Just complete the quick online form and start your free IVA application now! Or simply call the team FREE on 0800 368 8133. Once your IVA is approved your name, address and details will be published on the IVA Register. The details about your IVA will stay on the insolvency register for three months after the IVA has been completed or terminated. The IVA cost should come out of your monthly IVA payments. So if you are paying £100 a month for 60 months, the TOTAL COST of the IVA to you is £6000. The costs of setting up and running the IVA should come out of this £6000, not be added on to it. There are three main costs involved when setting up an IVA, but these costs should be covered by your monthly IVA payments. The nominee fee is the cost for all the work in writing your proposal and getting it agreed by the creditors. The actual fee largely depends on which insolvency practitioner you use and who your creditors are, but it will usually around £1,000. Our Insolvency Practitioners do not charge for our advice and we do not charge upfront fees as we believe this to be unethical. So you will never receive a bill from us. Only if your IVA is accepted will we receive any payments for fees. If your IVA is not accepted then you pay nothing. The Supervisory fee is there to cover the ongoing costs of running the IVA. It is usually set at 15% of payments into the IVA. This fee is usually charged to the IVA once the nominee’s fee has been paid. Your Supervisor is usually the insolvency practitioner who arranged your IVA. They will answer any questions or worries you may have throughout your IVA, and deal with payments to your creditors. They will also conduct reviews to make sure your income and expenditure is correct and that you can still afford your monthly payments. Disbursements are payments made to third parties involved in your IVA. They include insurance to protect any money paid to your IVA, system maintenance fees, and a registration fee to register your IVA with the Insolvency Service. Your fees will be confirmed when your IVA proposal has been drafted. The fees are also subject to approval by your creditors. Remember, the fees above will not be charged on top of the payments you make each month. They are deducted from the monthly payments before the IP pays the balance of those payments to your creditors. How long is an I.V.A for? If you’re struggling with your finances and thinking about doing an IVA. Then the chances are that your credit rating is pretty bad. You probably already have debt with debt collections agencies, defaults and may be even CCJ's. So if you do nothing about your debts your credit rating will only continue to get worse, as more and more bad marks are issued against you. Also if you can't pay your debts at the moment, the last thing you should be thinking about is borrowing more money. Even so, one of the questions we are asked the most is "will it affect my credit rating?" The answer is yes, an IVA will affect your credit rating. It will stay on your credit file for six years from the date you start your IVA (typically one year after your IVA has been completed). But after 6 years you will have no debts at all on your credit file. As all your unsecured debt will be legally written off in the IVA when it is complete. Then there are ways to improve your credit rating quickly once your IVA is complete. The important thing to remember is that if you do not deal with your debt problem properly. Then your credit rating will never get back to normal. Defaults may turn into CCJ's, which will stay on your credit file for a further 6 years. Debts will get passed or sold on. You've probably seen attention grabbing adverts like the ones below, they are all over the Internet. "Government IVA Scheme - Write Off Unaffordable Debt?" "Government IVA Scheme - See If You Qualify"
"Government Debt Help UK - Write Off Up To 85% Of Debts?" An IVA is not really a government backed scheme - but this is often spouted in the glossy advertising used by some debt management companies. The Insolvency Service, the government department whick looks after insolvency, has issued a warning over some marketing companies advertising IVAs as Government backed schemes. The FCA also believes some people are being misled through such advertising and may, ultimately, find themselves being subjected to poor standards of debt advice, typically delivered by the companies using such techniques. So if you see an advert or are called by a company offering a "Government IVA Scheme", you should run a mile. If you feel you've been approached by a company like this you should contact us. We will help you establish whether an IVA is right for you, before you become the next victim of bad advice, and pushy sales men. So to be be clear, IVAs are not managed by the Government. IVAs actually form part of an Act of Parliament. They were introduced as a alternative to bankruptcy as part of the 1986 Insolvency Act. The law governing IVAs forms part of the UK's statute, so they are part of UK law, which is a little different than being a Government IVA Scheme, or Government Debt Help. If you have an IVA arranged it is managed by an Insolvency Practitioner not a government department. Our experts can quickly advise you on what to do if you are considering an Individual Voluntary Arrangement. Simply call the team FREE on 0800 368 8133. Alternatively take the online test and check if you qualify. Going Bankrupt in Scotland or Northern Ireland? The complete step by step guide on how to go bankrupt. Need debt advice? Our team of experts will send you their answer by email within 1 working hour.